﻿ Aaarg! There are stories, songs and movies about them, yet no matter how they are romanticized; the pirates of the Caribbean were real. Today, there is plenty of adventure to be found in the islands, but if you are on a BVI boat charter, the pirate legends live on and you can be a part of the history. 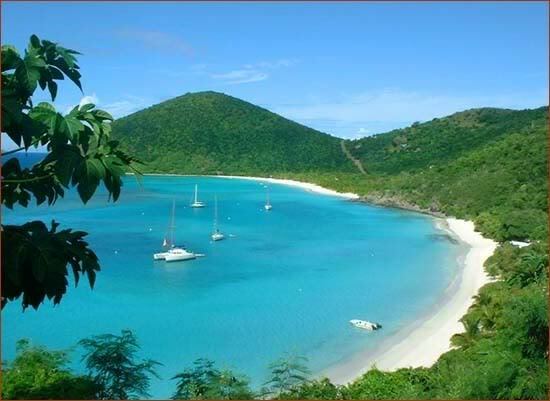 Columbus discovered and named the BVI in 1493 on his second voyage to the Americas. The Spanish claimed the island as their own, but did nothing to enforce their claims (other than a small fort on Virgin Gorda), and never settled in the territory. Instead, the BVI became part of the Spanish Empire, centered on the Caribbean shores of the Americas, known as the Spanish Main. Precious metals and other riches flowed from inland mines and Indian empires to sea coast towns and then on through the Caribbean by galleons under sail to Spain. Spanish treasure ships were soon followed by Spanish, Dutch, English and French merchant ships supplying their colonies in the West Indies. Pirates went where the prizes were and this wealth attracted pirates from all nations and walks of life. Once useful to the English, French and Dutch in attacking the Spanish Empire and each other, the Golden Age of Pirates (1680-1725) flourished, wreaking havoc on maritime commerce and terrorizing travelers. The BVI played a role in this historical drama. Pirates were attracted to the islands as their hidden coves and complex reef system made them the ideal spot for ravaging passing ships transporting riches from the new world back to Europe. 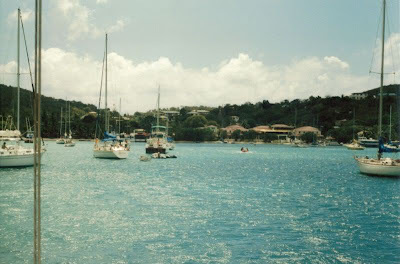 If you are on a BVI boat charter, you may hear reference to pirates, buccaneers and privateers. Although they all shivered many a timber, there were subtle differences in the terms. Although now used as a synonym for pirate, the term buccaneer had a unique meaning. The buccaneers were pirates who attacked French and Spanish shipping in the West Indies during the 17th and 18th centuries. While pirates were exclusively limited to the sea, buccaneers plundered both on the shores and on high seas. About 1630, some Frenchmen who were driven away from the island of St. Kitts went to Hispaniola - the area shared by Haiti and the Dominican Republic. They lived by hunting wild cattle and poaching pigs, and then selling the hides to Dutch traders. The local Arawak Indians taught them to smoke the meat on wooden frames (called "boucans") so that it could be saved for a later date. The term buccaneer comes from the word "boucanier." In 1635, Spain's King Philip IV declared the Hispaniola settlement too close to Spain's trading routes and ordered the buccaneers and their families removed. Many of the men were killed and their families were shipped off to the dungeons of the Inquisition. Those men that survived turned to a life of piracy, seeking particular revenge on anything and anyone associated with Spanish trade. Joost Van Dyke: It is not known exactly when Dutch privateer Joost Van Dyke arrived in the BVI, but by 1615, there were Spanish records of his settlement in the Territory. He organized the first permanent settlement in Sopers Hole, West End, Tortola. By 1625, the Dutch West India Company named him, "Patron of Tortola." He moved most of the settlement to Road Town. Unfortunately for the settlement, he made enemies with the Spanish after supplying some military support to the Dutch Admiral who managed to sack San Juan, Puerto Rico. Seeking revenge, the Spanish lay waste to Road Town. 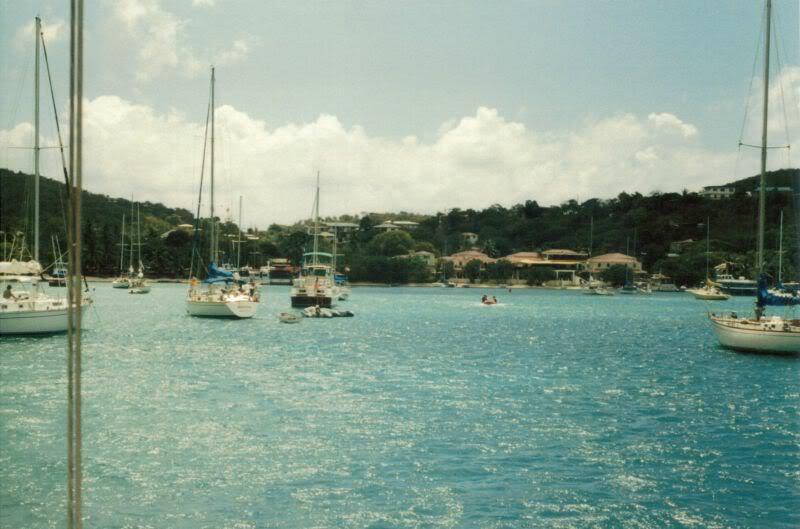 Joost Van Dyke managed to escape from Tortola and hid on the island which would later bear his name, Jost Van Dyke. Black Sam Bellamy: Seeking his fortune, first as a treasure hunter, later as a pirate, so as to marry a New England maiden, Black Sam Bellamy captured 50 prizes in a year's time, many while based at his namesake, Bellamy Cay (home of the Last Resort restaurant) in Trellis Bay. He made a dashing figure in a long, deep-cuffed velvet coat, knee breeches, silk stockings, silver-buckled shoes, long dark hair tied with a black satin bow, a sword slung on his left hip and 4 pistols in his sash. After capturing his richest prize, The Whydah, he died in a shipwreck on the way home at the age of 29. Blackbeard: One of the most infamous buccaneers in Virgin Island history was Edward Teach (aka Edward Thatch), better known as Blackbeard due to a waist-length beard which he wore braided and tied with ribbons. He strapped numerous pistols across his chest, but he relied on his hat to bring real terror to those unfortunate victims he attacked. Blackbeard tucked hemp fuses beneath his hat, which he would light when in combat. His face would be wreathed in fire and a cloud of smoke as he approached, making his victims claim he was an apparition from Hell. From 1714-1718, Blackbeard and his murderous crew made the West End of Tortola their base of operations. He met his end at the hands of a British fleet specifically sent out to capture him. The island opposite West End, Tortola is named Little Thatch, after Edward Teach/Thatch. Sir Frances Drake: Privateer and sea captain extraordinaire, Drake was a self-made man detested by the old nobility. He eventually rose to the rank of British Admiral and defeated the Spanish Armada. He began his career in 1573 off Nombres de Dios (Panama's Caribbean port at the time) when he plundered a "silver train" of mules headed for Spain's treasure fleet. "El Draque", as the Spanish called him, raided many Spanish ships, bringing home the loot to his Queen. Later, when England was no longer at war with Spain, Drake returned home with the bounty from a raid, but was disowned and forced to go into hiding for two years. Only after his triumphant circumnavigation of the globe did he return home a hero and gain his knighthood. He was buried at sea in a lead coffin off Nombres de Dios. 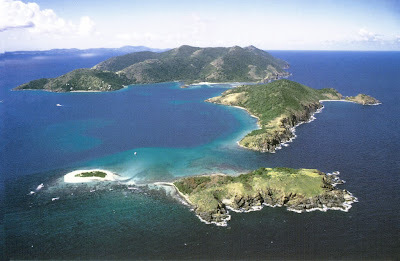 If you are lucky enough to be on a BVI boat charter, you can easily explore some of the old pirate haunts. Norman Island: Nicknamed Treasure Island because it was the inspiration for Robert Lewis Stevenson's novel of the same name, Norman Island is reputed to have been a favorite hangout of pirates while legends of buried treasure still persist. The Caves are a popular snorkel spot where the walls are rumored to have secret markings leading the way to hidden treasure. Spy Glass Hill, located by following a dirt track from the beach by Pirates restaurant to the top of Norman Hill offers a spectacular 360° panoramic view of the Sir Frances Drake Channel and surrounding areas. This hill was used by pirates to keep a lookout for treasure galleons. Dead Chest: Ever heard the ditty, "15 men on a Dead Man's Chest- yo ho ho and a bottle of rum"? The island of Dead Chest really does exist between Peter and Salt Islands. Marooning was a common pirate punishment. After an attempted mutiny, Blackbeard is said to have marooned 15 men on Dead Chest with only a single bottle of grog. The fight which ensued left no survivors. St. Michael's Church: If touring Tortola by land, follow Ridge Road as it dips to the North Beach Coast. About half way down to Windy Hill, you can find the overgrown stone walls and other ruins of the 18th century St. Michael's Church. This church was reputedly headed by a pirate priest, who used this vantage point to spy passing ships loaded with treasure. Today, all you will see are BVI boat charters. Soper's Hole: Located on the West End of Tortola, Soper's Hole was just one of many remote bays that pirates used to careen their ships. It was important to keep their hulls clean so that they would be able to sail fast in order to catch their prey. Joost Van Dyke first settled here, and Blackbeard and his mob also used Soper's Hole as their base of operations. Soper's Hole provided both an excellent haven for this band of thieves and an advantageous spot from which to keep watch along the Sir Frances Drake Channel for any ships ripe for plunder. They could lay in wait for unsuspecting trade ships to approach and then pounce! Anegada Passage and the Sir Frances Drake Channel: Anegada Passage was the entrance to the Caribbean and the protected waters of the Channel. In the Golden Age of Pirates, the Sir Frances Drake Channel was called, "Freebooters Gangway." A freebooter was a slang term for a pirate. The Channel attracted both merchant men and pirates alike. The North Sound: Virgin Gorda's North Sound lies astride the Anegada Passage and the Sir Francis Drake Channel. This is the area where Sir Frances Drake assembled his ships before attacking Puerto Rico. It also is the site for two former pirate escape routes. Pirate escape routes were used to lure pursuers onto intervening reef shallows. One was the Eustatia Sound located at the front of the North Sound. Today, only local knowledge affords escape exits through gaps in the treacherous reefs that make even the most experienced BVI boat charterers quake with fear in their bare feet! An alternate but little used entrance/exit to the North Sound is behind Saba Rock's reef in an s-shaped transit through an opening between the islands around the back of Eustatia Island and out a little used gap in Eustatia Reef at Prickley Pear's Opuntia Point. Although a charterer on a BVI boat should never attempt it, today, this is a fun, adventurous dinghy route for those wishing to snorkel or beach comb around the area. The great era of pirates in the Caribbean extends from around 1560 up until the end of the Golden Age of Piracy in 1725. The BVI played an important part in the history of the real pirates of the Caribbean. Book your BVI boat and live the legend yourself, matey!